Tile is an integral part of the bathroom design. Designing with tile is easily done by keeping one style throughout. Choosing tile for the bathroom may seem like an overwhelming task, when faced with all the options on the market today. Porcelain and ceramic, marble, river rocks and slate; the choice of material alone is a hard one. By choosing and keeping to a theme throughout the room, the selection process becomes much simpler. Before beginning to choose materials for the design, first decide what type of bathroom style is being created. Is this a children’s bathroom? Or is it a modern bathroom? What about a traditional bathroom? By choosing one direction to go in, a number of selections will be eliminated. Placing marble in a children’s bathroom would not be practical. Handmade ceramic tiles, and glazed porcelain mosaic floors would not give the appearance of a modern bathroom. By deciding what type of bathroom is being created, before attempting to select materials, much confusion can be eliminated. If unsure of what style of bathroom is desired, try going to the local library and looking at home design magazines. If a style or photo is found that reflects the desired result, bring it to the tile showroom as inspiration. By choosing the countertop or sink being used in the bathroom first, a built in pallet and design is brought into play. Pedestal and china sinks can have fluting or smooth lines, which can be mirrored in the lines of the tile. Granite and marble counters have colors and veins running through them that can be picked up as an accent. For example, Pacific Pewter marble has burgundy veins running through it. Choosing a similar color to accent the shower tile on the floor or as a border can tie the space together. Once a tile has been selected for one area of the bathroom, try building off of it. If the bathroom wall tile is hand poured, cut glass, with a rustic appearance, try using slate for the bathroom floor tile to compliment the look. If river rocks are used for a spa feel, pick them up again in a border or accent wall, with muted tiles in a similar color to frame it. If a traditional floor pattern is used, like an octagon and dot, or basketweave, try using a traditional wall tile, like subway tiles, and take the accent color from the dot on the floor to use as a decorative border below the chairrail. Keeping the tiles complimentary to one another will help to make the design flow together nicely. Try picking one element first, for any area of the room, and designing around it. If a particular mosaic or glass is desired, use it as the starting point for the rest of the tile selection, even if this is just a small accent to the whole design. In small bathrooms, try to use the same material on the floor and walls of the bathroom, in the same or different sizes. For example, use a 12” porcelain tile on the bathroom floor, a 2” version of the same tile on the shower floor, and a 6” tile on the shower and bathroom walls. This will create an unbroken line through the whole room, and help to visually open the space. If using this option, keep accents to behind the vanity, as a backsplash, or use one wall of the shower as an accent wall, to help keep from breaking the design, and the room, in half with a border. 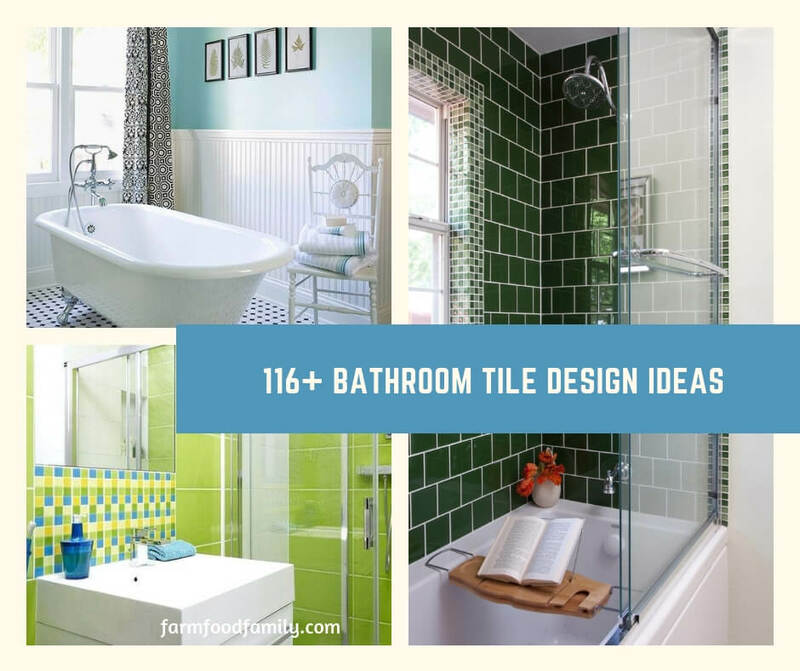 Take bathroom tile ideas from inspirations already in the home. Look for favorite colors and textures to reproduce in tile designs. Bring favorite home items, or photos of the home, into the tile showroom to assist the sales people in learning the style desired. Keep the process simple, and begin to enjoy a new bathroom design today.